What Mother’s Day Means to Me. It rolls around every year with super cute memes’, the best handmade cards and the most ridiculous but epic school art class presents. It’s the day that our little angels actually try and act like angels while bringing us breakfast in bed and offering, but not always doing, to clean the kitchen. Overall, it’s a sweet day filled with hugs, kisses and thank-you’s. It’s a good day. 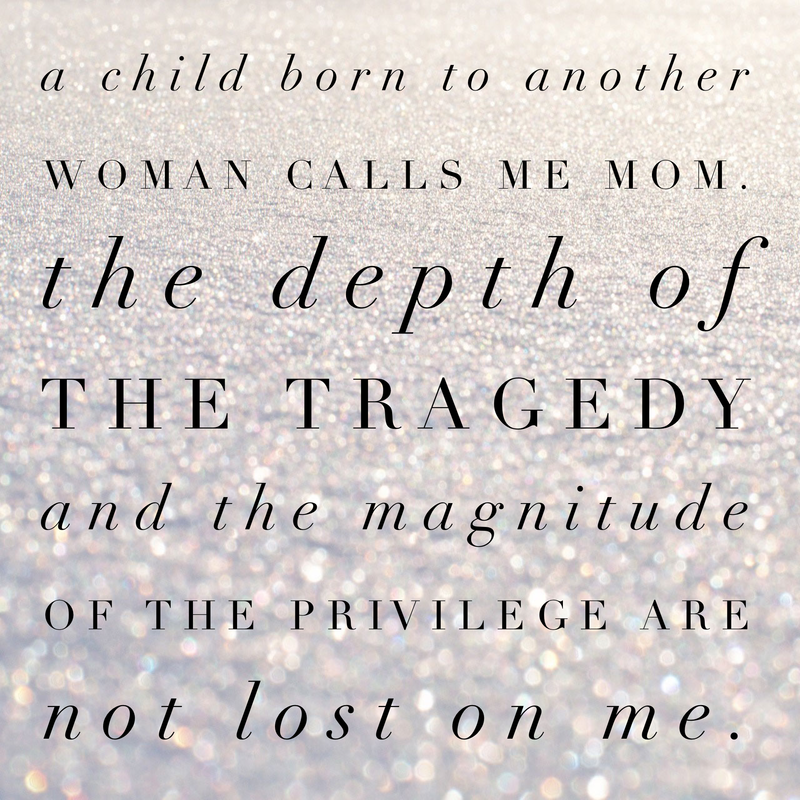 For me, and the many other Moms to Many like me, it’s also a really, really hard day. It’s the day that reminds me of all my littles that no longer have their Mommy’s. Of the Mom’s that are missing their babies because of circumstances and bad decisions that you and I could never truly understand. It’s a day of tears, broken hearts and memories that fade a little bit more each day. It’s little faces looking at pictures of the Mama they so desperately love but will never get to see again. It’s trying to figure out who to give that amazing Mother’s Day gift that was made at school to. Save it for Mom, just in case? Give it to Grandma at an upcoming visit? Or give it to Auntie or Foster Mom that takes care of them now? It’s such a simple thing but the pain & confusion it causes is very deep and very real. It’s the day when I remember the 30+ faces that have called me Auntie or April or Mom. And the milestones that I’ve shared with children that I did not birth. It’s the first’s and the victories that Mamas long for and then celebrate when they finally arrive. It’s looking into the eyes of children and knowing that their hearts are longing for another time, another place and another face. It’s being okay with being Mom for now. It is joy and pain wrapped up in one Sunday. It is the day that reminds me of why I do what I do. Mothers Day is my ‘why’. Every kid, everywhere, needs a Mama. They need THEIR Mama but when that’s not possible, we need to step up and fill that space. We can’t all be foster parents, I get that. But we most certainly can take a moment and love someone that so desperately needs it. This Mother’s Day, be that safe place for someone in your world. Your Mom would love that.